It’s Good Friday, and there’s a very interesting story in our local paper today. 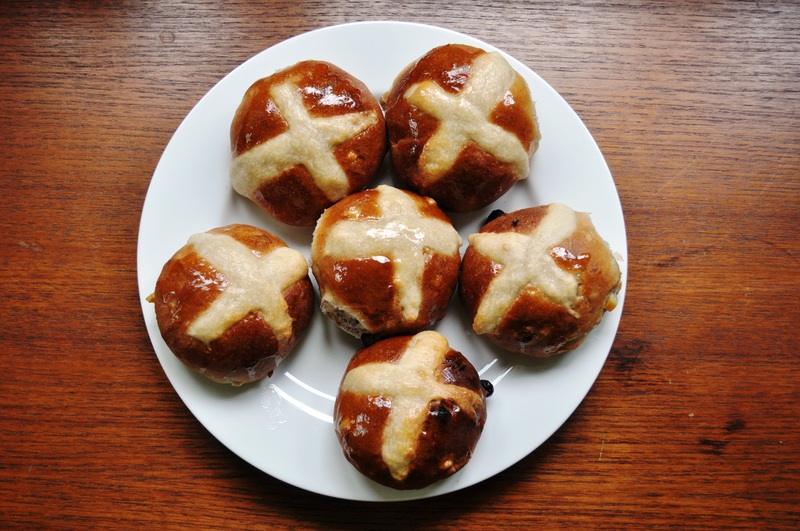 I’ve eaten hot cross buns on and off all my life but learned a few new facts from Kevin Gordon’s piece in the Sussex Express. These sweet, fruity buns, with their cross-shape commemorating the crucifixion of Jesus were traditionally baked “in preparation for the end of Lent on Easter Saturday.” Okay, that I knew, despite how much crass British supermarkets might start promoting them pretty much straight after Christmas these days. 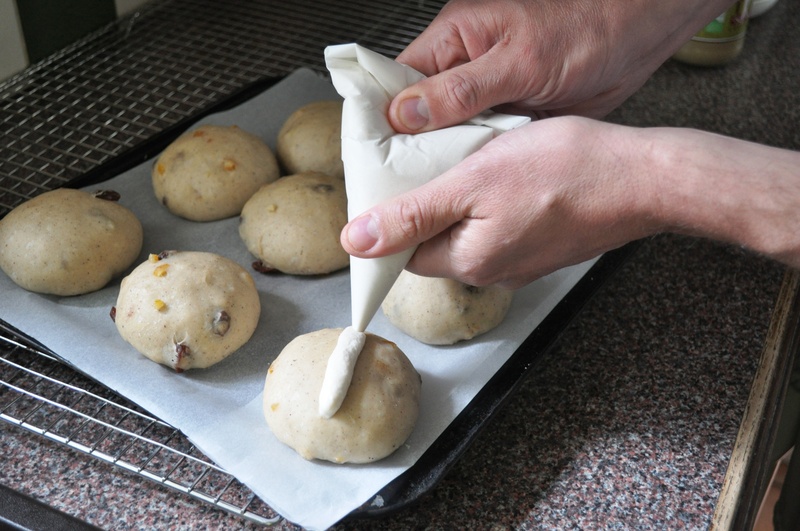 Note – this is quite a sticky dough, something that can intimidate less experienced bakers. 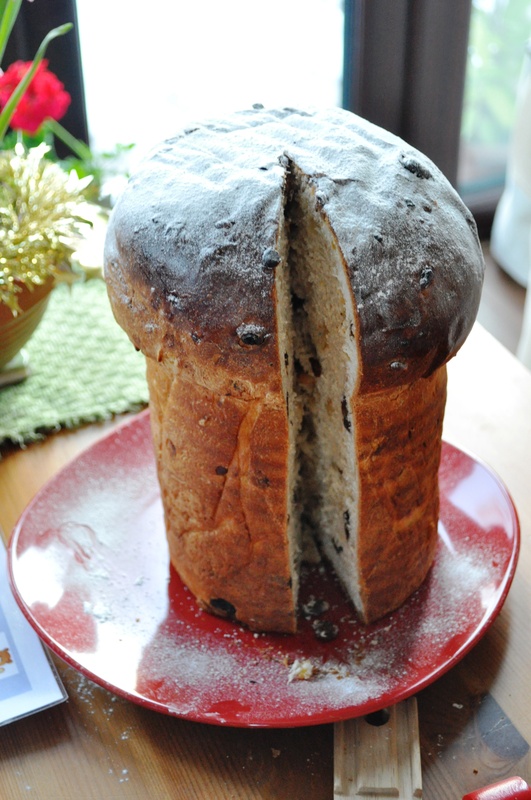 I recommend you read my tips for handling sticky doughs here. 1. 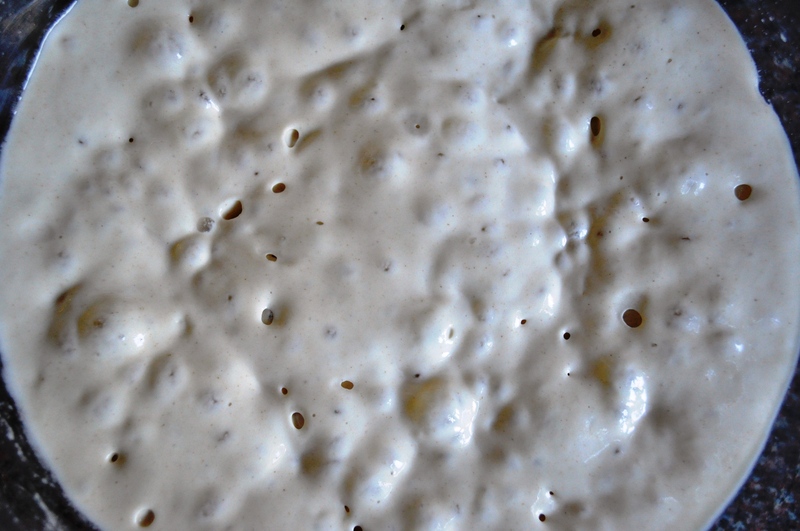 Combine the 140g flour, yeast and 150g of water to make a sponge or pre-ferment. Leave to ferment overnight in a cool place or the fridge (but take it out in plenty of time the next morning). It should be nice and bubbly. 2. The following day, mix flour together the flour and salt. 4. Warm the milk to about body temperature. 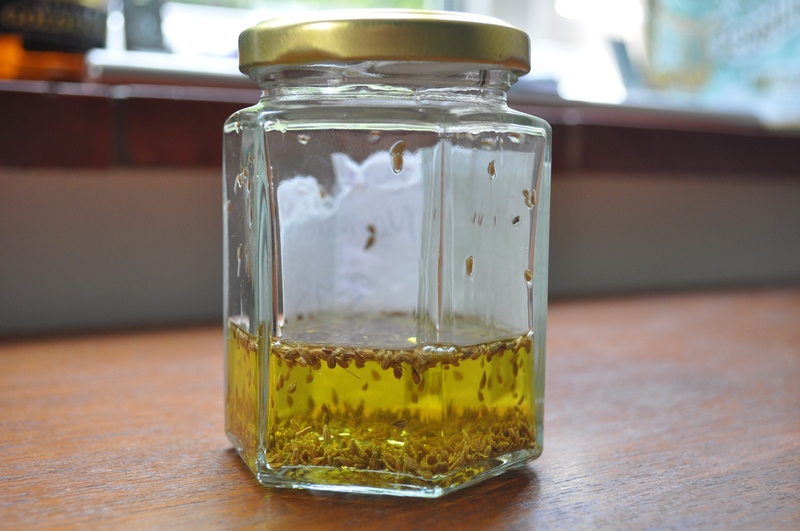 You can infuse it with Earl Grey tea if you like. If you’re using tea bags, don’t forget to remove them! 5. Add the sponge to the flour and salt. 4. Mix together the melted butter, milk, sugar, beaten egg and spices then add this to the flour too. 5. Bring the mixture to a dough. Turn out the dough and knead for a few minutes. Once you’ve formed a ball, put it back in the bowl, cover and leave to rest for 10 minutes. 6. 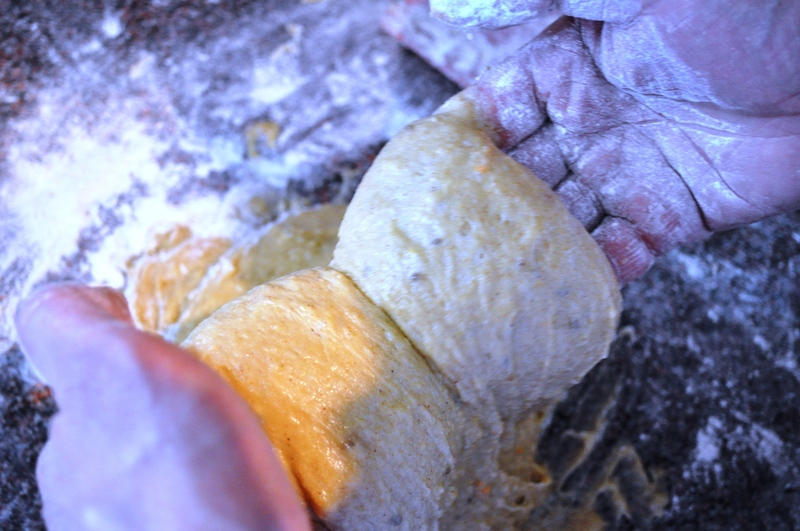 Stretch out the ball, add the fruit, then fold over the dough, and knead it again to mix in. Form another ball, then cover and leave to rest for another 10 minutes. 7. Give the dough another brief knead. Rest for another 10 minutes then do a final knead. 8. Put in a clean bowl, covered, and leave to prove until doubled in size – perhaps two-three hours, depending on your room temperature. 9. When it’s proved, weigh it. It should be about 1100g. If it’s not, either I’ve cocked up or you have. 10. Divide the dough into 16 equal pieces, weighing about 70g each. Or go larger, 13 at about 85g. 11. Form the pieces into neat, tight balls. 12. Place the balls on baking sheets lined with parchment then cover and leave for a final prove. Again, this will maybe take two hours, depending on ambient temperature. 15. Bake for 12-15 minutes, or until nicely browned – this will depend on your oven. 16. Optional: while still warm, glaze with stock syrup – made from half/half water and caster sugar, about 50g each, heated to dissolve. Enjoy for a Good Friday afternoon tea, or similar. The in-laws have arrived and we scoffed several for afternoon tea. Not sure if any will survive long enough to test the theory about them never going mouldy. Note – the total flour is 460g, 140 in the sponge, 320 more in the dough, that is 30% and 70%. If you like baked goodies (and considering you’re visiting a blog named Bread, Cakes and Ale, I have to conclude that you do), Easter is a great time to be living in Rome. Sure, the Spring might be making half-hearted attempts to arrive, and sure the mild + damp has resulted in my first 5am mosquito strafing (damn them), and sure the city council might have decided to move my favourite farmers market out of walking distance (from Testaccio’s Ex-Mattatoio to Garbatella – *weep*. End of an era) BUT the bakeries the past week of so have been full of seasonal specialities. Which compensates nicely. This is my, um, second Easter in Rome, and I vowed I’d try and make X or Y after seeing, buying, consuming and enjoying them last year. But you know what, I can’t get that really nice light airy crumb on an enriched dough in my domestic oven, and I’m working long hours, so I thought stuff it, I’ll just buy an X. In this case the X refers to colomba. 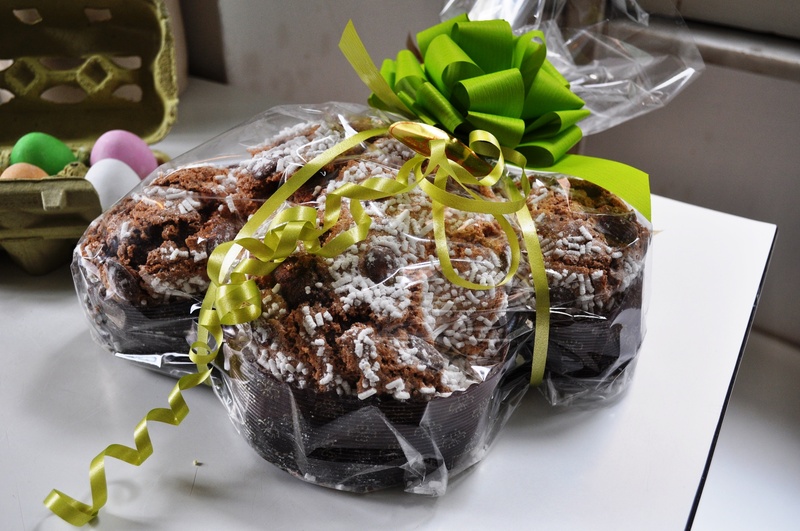 Colomba means dove in Italian, so this is an Easter dove cake. No doves are used in the bake though. 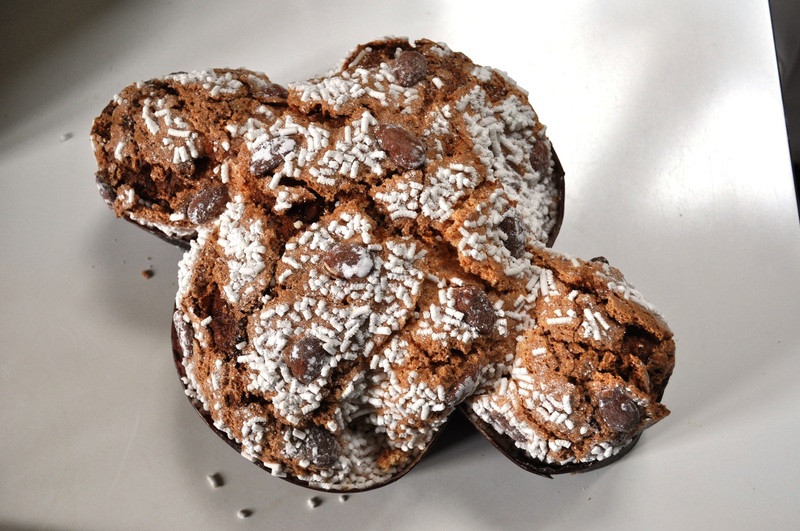 Instead, Colomba is basically the same kind of enriched dough as used in a Panettone, just baked in a different form. Indeed, it’s shaped like an X, appropriately enough for Easter and considering my phrasing above. Though the X isn’t supposed to represent a cross, it’s supposed to represent the shape of a bird, in flight. You know, wings outstretched on either side, head, tail. Ta da. We bought ours from Pasticceria Nonna Nani, Via Giacinto Carini 35, Monteverde Vecchio. 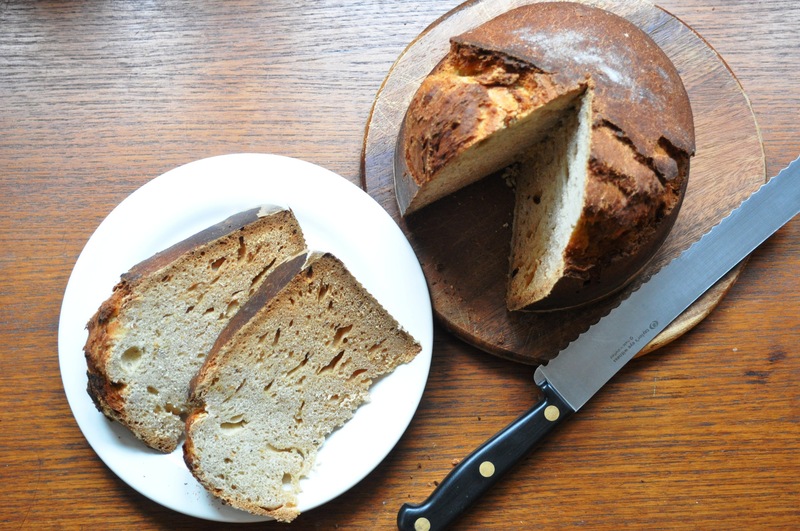 It was made with a natural leaven though it had no trace of a sour sourdough flavour, presumably thanks to the generous presence of sugar, eggs and candied peel. Very nice. 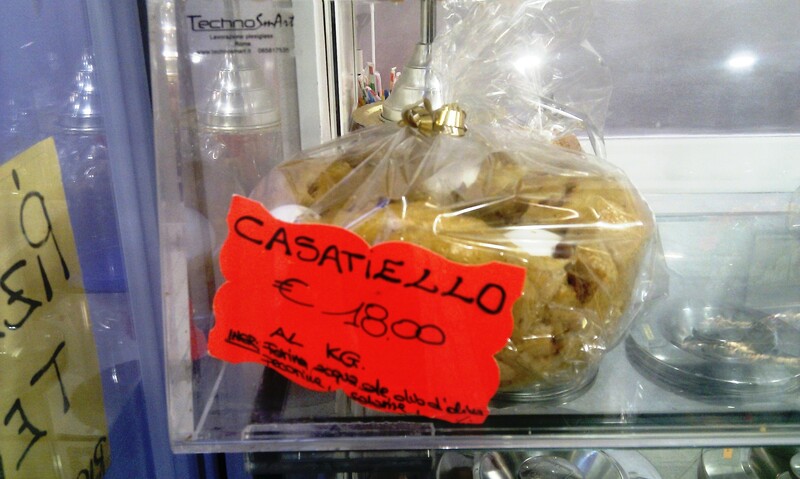 While buying the Colomba I also spied Nonna Nani’s Casatiello. I’ve seen these a lot in Roman bakeries the past two Easters, though apparently they’re not Roman traditionally, they’re Neopolitan. Indeed, a Neopolitan lady who was giving me Italian classes last year gave me some. 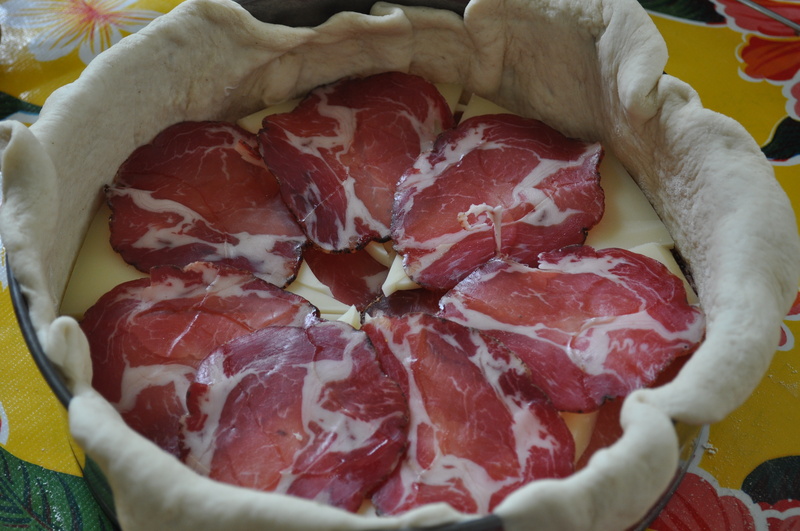 Now, I’m not much of a meat fiend, so I’ve never really been that drawn to Casatiello, though my wife Fran is a meataholic, and was keen to bake something meatily traditional this Easter. It’s the end of Lent, so a blow-out is kinda traditional I suppose. As I was researching Italian Easter baked goods, sweet and savoury, I came across pizza gaina/pizzagaina, also known as pizza chiena. This seems to be a type of pizza rustica or pizza ripiena that’s made for Easter. Before you say, “eh, pizza?”, note that the word doesn’t just refer to flat bread discs with stuff smeared on top here in Italy. 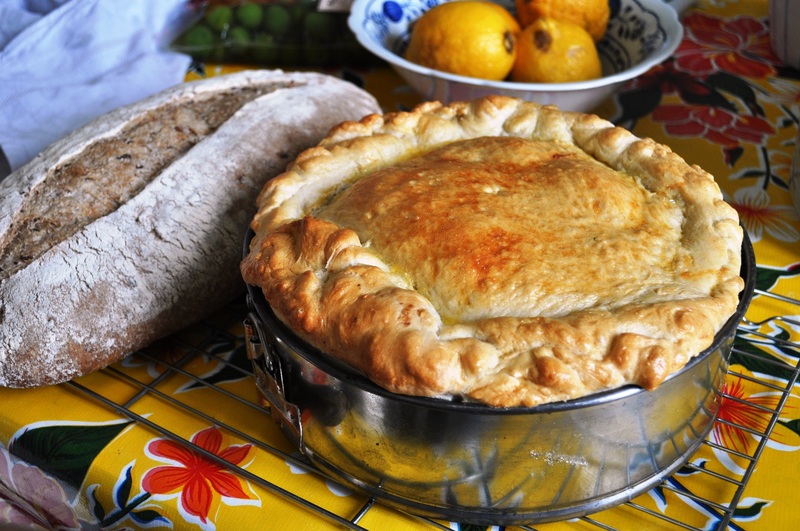 Pizza rustica, for example, is a generic term for things that are basically rustic pies – though rather than being made with a pastry crust, they’re made with a yeasted pizza dough crust. Pizza ripiena, meanwhile, literally just means stuffed or filled pizza. No one really seems to be that in agreement about the origins of the word pizza, so I’m not going to go on an etymology ramble. If you read Riley, or John Dickie’s Delizia!, the term seems to have had many and varied uses. Oddly, I can’t really get a handle on where pizza gaina/chiena is from. I’ve not actually seen it in bakeries here in Rome and most of the recipes online seem to be American, or Italian-American, rather than Italian. And even Britain’s own Nigella Lawson has a version, though she makes no mention of Easter, and simply calls it Pizza rustica. Indeed, it’s quite a natural fit with British food, as it’s really not unlike a ham and egg pie. The version Fran did was basically just an excuse for a meat (and cheese) fest. 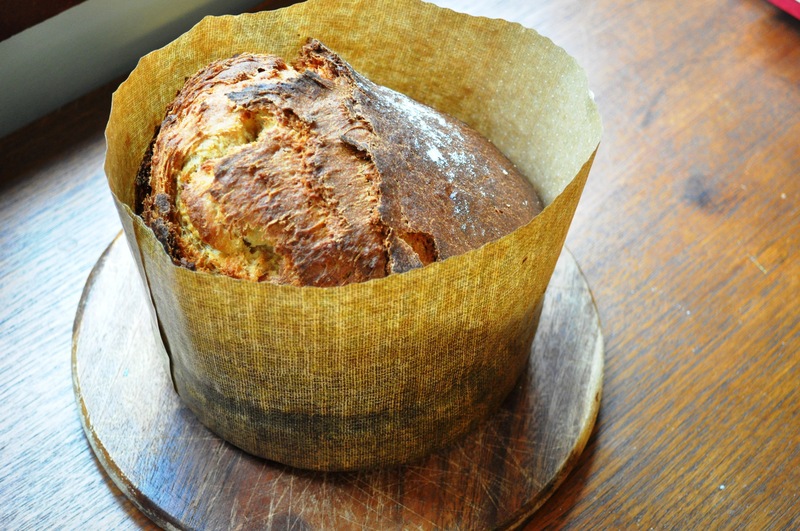 She made a basic white dough and used it to line a springform cake tin. She then filled the case with various strata of cheese and meat. Vegetarians – look away! Vegans – look away and weep! In this pic (above) you can see the freshly baked pizza gaina, still cooling in its springform tin. 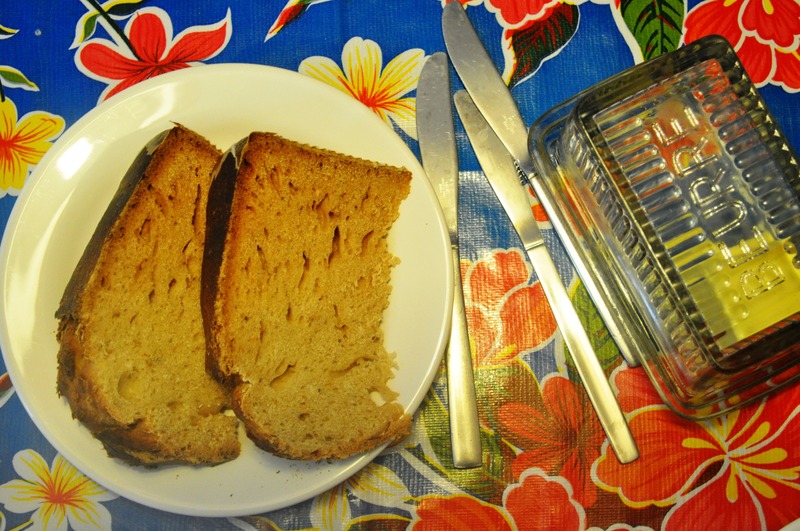 Alongside is a wholemeal farro loaf. Another type of Easer pizza I have seen in Rome is the pizza ricresciuta. This is even more unlike your familiar disc-shaped pizzas because it’s tall, round loaf or cake eaten for Easter breakfast. Indeed, it seems to come in sweet and savoury versions, though I’ve mostly seen cheesey ones in the windows of Roman bakeries. Crescere, btw, means to grow, to grow up, to increase, so I guess you could imagine it as a pizza dough that’s been left to expand, to shake off the shackles of disc-like flatness. Look, I know the Simnel Cake is the traditional British Easter cake, but I really don’t much like dense fruit cakes, okay? 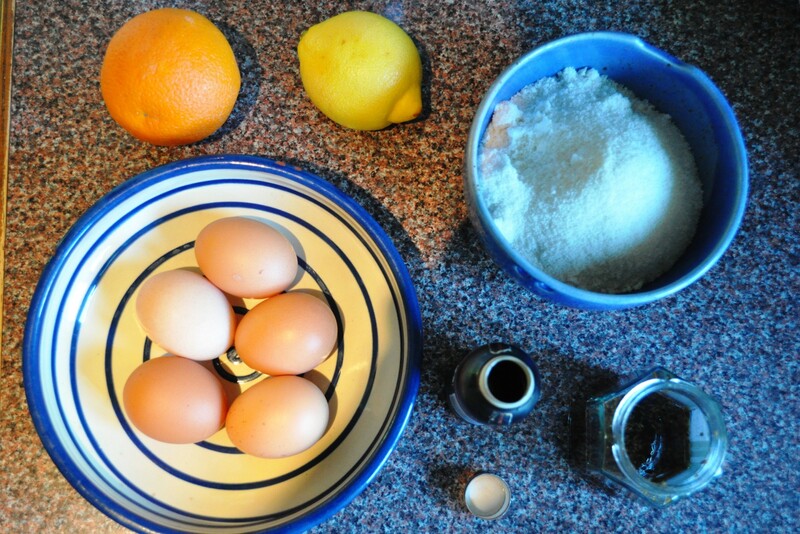 In our family, we’ve always just made a lemon sponge decorated with lemon butter icing and Mini Eggs. So that’s just what I did. Annoyingly, I didn’t really get to thinking about it until Easter Sunday then made it Easter Monday. What I really thought would be a nice Italian twist would be to put a layer of mascarpone in the middle, along with a layer of lemon curd (maybe that bit’s not quite so Italian), then maybe just a sprinkle of icing sugar on top. None of that happened though. I noobed my lemon curd, and we couldn’t get any Mini Eggs, so instead went with those sugar-coated chocolate eggs that resemble real eggs. And are really hard on the teeth. Then I forgot to take a proper photo, which is a shame as it was cute. 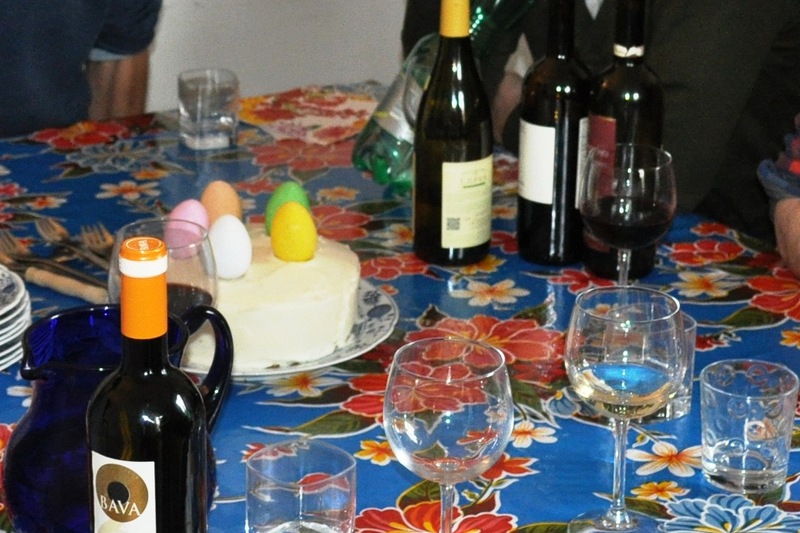 All I’ve got is this crop, with the cake nestled among many wine bottles. We were doing a sensible, sophisticated wine tasting, honest.